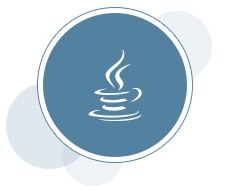 JVM Constants API is introduced to model nominal descriptions of key class-file and run-time artifacts, in particular constants that are loadable from the constant pool. See JVM Constant API. The switch statement is extended so that it can be used either as a statement or an expression. This is a preview language feature. See JEP 325: Switch Expressions (Preview) and JEP 12: Preview Language and VM Features. Support for Unicode 11.0. See Unicode 11.0. Square character support is provided for the Japanese new era that begins from May, 2019. See Square character support. The NumberFormat adds support for formatting a number in its compact form. See Compact Number Formatting Support. See the JDK 12 Documentation for more information. JDK 11.0.1, 8u191, 8u192, 7u201, and 6u211 Have Been Released!